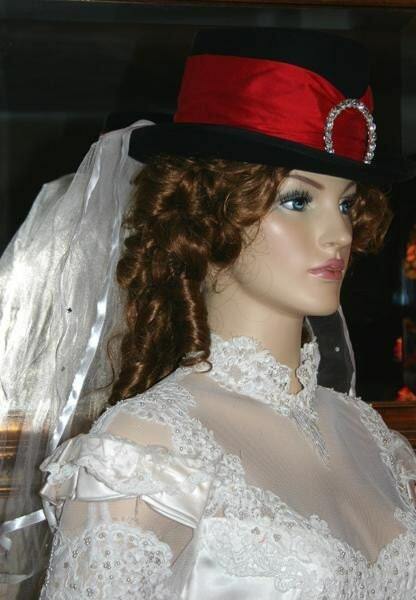 Victorian Hat "Mademoiselle" is perfect hat for riding or tea party!. 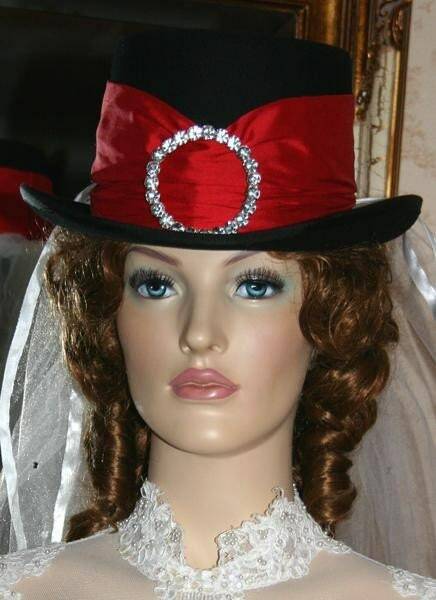 It's a gorgeous fully lined black top hat adorned with a red silk hatband. 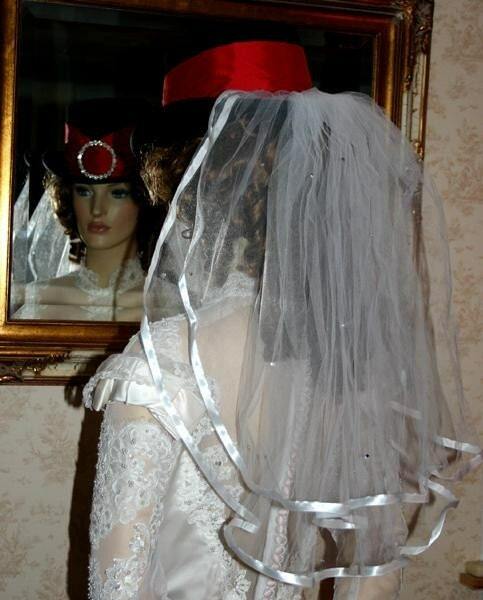 The front of the hat has a sparkling vintage rhinestone buckle and the back of the hat has a two tiered white veil with scattered rhinestones and white ribbon edging. 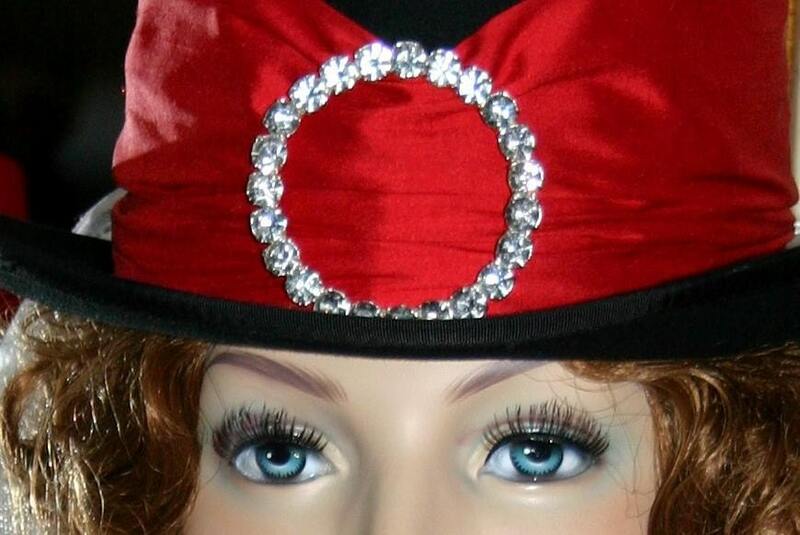 This hat is a real eye catcher and you'll enjoy wearing riding, to a tea party or just promenading! Perfect for Sass events too. Sizes Sm, Med, Lg & XLg ~ Please let me know your head measurement when you order.